A care home that has been rated good by inspectors following a surprise visit last month is under police investigation. Bedford’s Manton Heights Care Centre was visited by the Care Quality Commission (CQC) on September 21 and 22. It was rated by inspectors as good across the board for being safe, effective, caring, responsive and well-led. But it has emerged that Bedfordshire Police is currently working with social services to investigate two alleged ‘incidents’ at the facility. The care home in Manton Lane, which is privately run by Ranc Care Homes, looks after people over the age of 65 including those living with dementia. 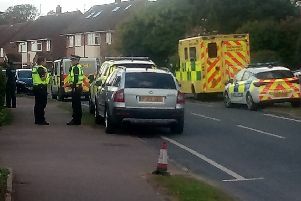 A CQC spokesman said: “CQC is aware that police have conducted an investigation at Manton Heights Care Centre. We await the outcome of the investigation and further to this are unable to comment.